MadHouse Vinegar is committed to two things—creating world-class artisanal vinegar and making it using products that would have been poured down the drain. Go back in time 150 years ago and you would find small batch vinegar production happening in every small town. Vinegar was local and the flavors were as varied and specific to the place in which they were created as we expect wine to be. But mass production ended all of that. Today those varietal vinegars are rare—lost in a sea of large-scale homogeneous vinegars made mostly from corn and wood pulp and flavored after fermentation to taste like red wine or white wine or apple cider. Here at MhV, we’re returning to the old ways, while replacing an important component that’s been missing in the Ohio River Valley culinary ecosystem. Southwestern Ohio and Northern Kentucky are filled with breweries, cider houses, vineyards, distilleries that all pump out delicious drinks that speak to the taste of this region. But they create waste, too--wort, skunked beer, wine or cider that misses the mark, spent grains, aging barrels that can’t be reused—waste that can end up in our water reclamation system and in our dumps. 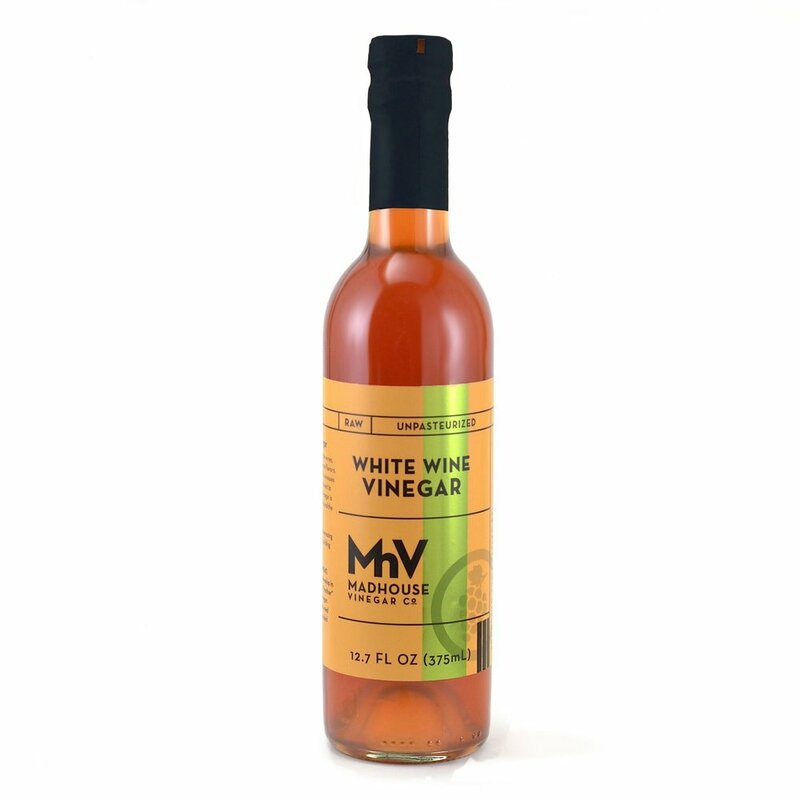 So at MhV, we take it off their hands and make the tastiest vinegar you’ve ever tried. Vinegar that only needs a little salt and pepper to make the world’s best salad dressing. Vinegar bartenders are using to craft killer shrubs. Vinegar that brightens any food and makes any dish exponentially more complex. Vinegar that could only be made right here and right now—while simultaneously creating a more flavorful and sustainable community. We've never met a sugar/flavor profile we didn't immediately want to try to ferment and then convert into vinegar. As a result, we always have small batch vinegar experiments aging in-house alongside the flagship vinegars we have on hand consistently. These vinegars are some of our most popular, but are often seasonal--here one day and gone the next, as ephemeral as sweet corn season in the Ohio River Valley. If you see a vinegar you're interested in, snap it up. It may be months before there's more in stock. Notes of dark fruits, cocoa, and sweet smoke. Notes of butterscotch, toffee, pepper and peat. Well-balanced and smooth with a mild corn finish. Notes of pink peppercorn, mace, and allspice. Soft on the palate, perfect balance of fruitiness and acidity. The faces of The MadHouse Vinegar Co.
Born in Asheville, NC and raised in the backroads of Kentucky’s farmland, it was only natural that he follow the winding contours of the terrain from Field to Fork. Beginning at his parents’ farm in Mason County where he attended high school, his path led to Providence, RI where he graduated from Johnson & Wales with a degree in Food & Beverage Management. From there, he honed his skills at the Maisonette, a restaurant with the longest running streak of five-star awards from the Mobil Travel Guide. With an accumulated 30 years of experience in the food and beverage industry, he helped open more than a dozen concept restaurants and collaborated on countless side projects, including working with Woodlands Pork and Black Oak Holler Farm. It was in these wooded mountains of West Virginia where he got a taste for carving up perfect, porcine samples of woodlands mast finished hogs nearly 15 years ago. These days, when not ensconced in with his kids’ sports activities, he spends his time working with schools to improve the quality and nutrition of meals being served, keeping the vinegar bubbling, giving new life to food waste, and continuing to spread the good food gospel to those that like to eat. An Ohio native and former illustrator and designer, he has managed historical Carriage House Farm for the past sixteen years. During this time he has helped support the local food and brewery scene in the Cincinnati region by shifting from commodity crops to native plant and fruit/produce production. With a focus on intense, but sustainable production, he has turned what was once an unknown, family-owned Ohio Century Farm, into a community leader, helping local not-for-profits and reestablishing old breeds of native plants such as pawpaws, spicebush, and elderberry. Carriage House Farm currently supplies a wide range of regional chefs and upscale retailers and offers an on-farm dinners series that brings the local food concept full-circle, with the chefs the farm supplies coming out to the countryside and doing dinners for small groups of guests. He partnered with Justin Dean in 2013 to begin working on vinegar production. 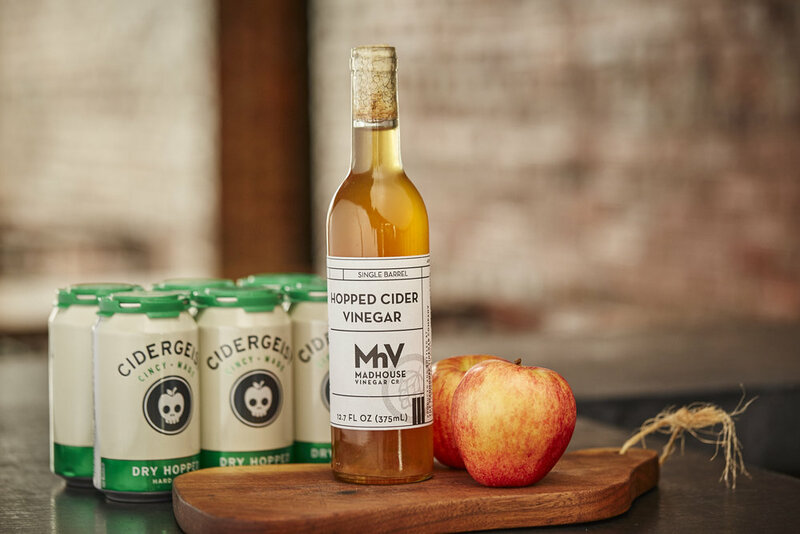 Carriage House Farm will act as host for the MadHouse Vinegar Co. once it enters full-production and become the single source for a majority of the herbs and fruit used in the process.